Derivatives are securities whose payoffs depend on the value of some underlying assets; these underlying assets can be stocks, indexes or some other phenomenon (sometimes weird ones! ).For example, derivatives have existed with base as performance of a movie, number of hurricanes hitting the American shore and the temperature at Kennedy airport, etc. 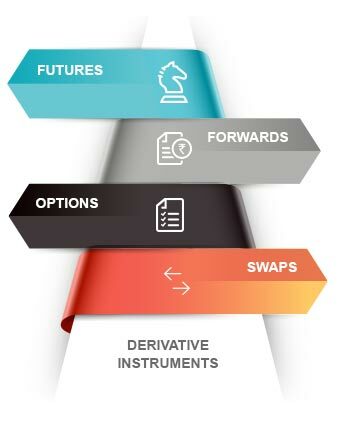 Though derivatives are considered as a modern market phenomenon, but they have been traded for decades. The age old Barter-system was inflicted by challenges when people realized it was very difficult to trade between items that are grown at different times of year, also perishable items were difficult to trade. Non-perishable items like wine, grains, etc., came to the rescue as intermediaries for these transactions. The modern derivative market boomed during 1970s, when uncertainty in the market rose due to the deregulation of pricing/controls by governments. Derivatives required huge and tedious probabilistic future calculation of prices, which luckily became possible due to advent of computers during this time. In 1973, Chicago Board Options Exchange came with methods to calculate price for options, technology for large transactions and thus this market boomed. The paramount advantage of derivatives for individuals as well as companies is to hedge risk. They transport risks to players having potential to bear them. Thus the doors to more risky ventures become accessible to individuals and companies. This promises higher returns and more wealth is generated by hedging risks meant to be hedged. Survey suggests over 94% of the world’s largest companies use derivatives. Firms mostly use derivatives to hedge against interest rates and exchange rate fluctuations. This leads to a more productive economy with better welfare. Warren Buffet in a 2002 letter to Berkshire Hathaway investors terms derivatives as “financial weapons of mass destruction”. Most prominent risks that Buffet elucidated were: counter party risk i.e. the risk of other side defaulting to meet its financial obligations and the absence of substantial collateral to cover for potential losses. This phenomenon manifest mostly during financial crisis, the derivative trade failure of AIG is an example during sub-prime crisis of 2008. The risks associated with banks in terms of derivatives are generally well documented and analyzed, but the kind of risks in derivatives taken by other financial institutions are not that well understood. 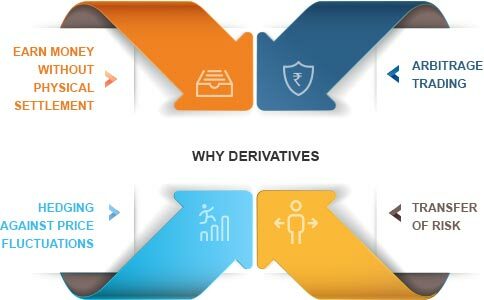 Derivatives in a way also reduces transparency in accounting as there may be discretions on management part regarding the way that how they treat derivatives. Accounting statements generally do not explain how and why derivatives are used, they also don’t convey the risk associated with the use of derivatives. Derivatives are like air travel: the probability of a crash is always present, but regulating the industry can substantially reduce the probability.